I wanted a way to provide some security to my home and give me the ability to remotely view what was happening around my house when I was away. I found plenty of ways to do this using a single camera, but I needed more. I was thinking more like five cameras. Then I remembered ZoneMinder. I found this a few years ago and never though too much about it. Didnt have a use for it at the time, mostly because I didnt own a home. Now that I do, I want to keep an eye on it from time to time. ZoneMinder will allow me to do everything I want at the low cost of Free. I do suggest that you give a donation to this project. It is well worth anything you can afford. First things first, we need a workstation. A Linux workstation. 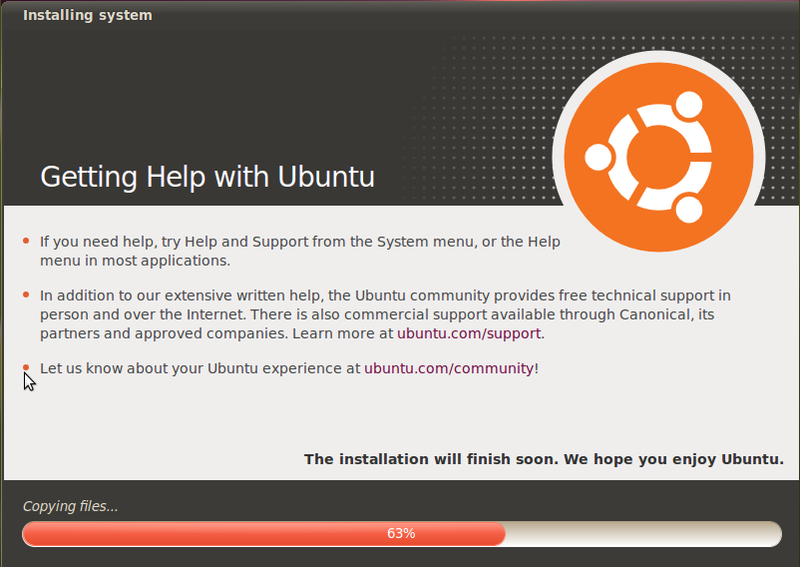 Since it is me, a Ubuntu Linux workstation. 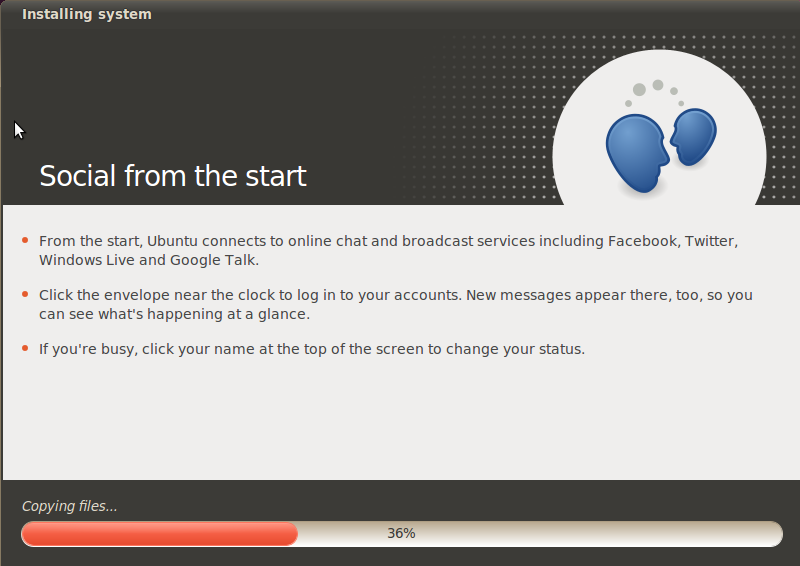 Start out by installing Ubuntu Linux Desktop 10.04 LTS. Why desktop? Because I couldnt get the server version to work. I will look into it and see why, but for now, the desktop version works. 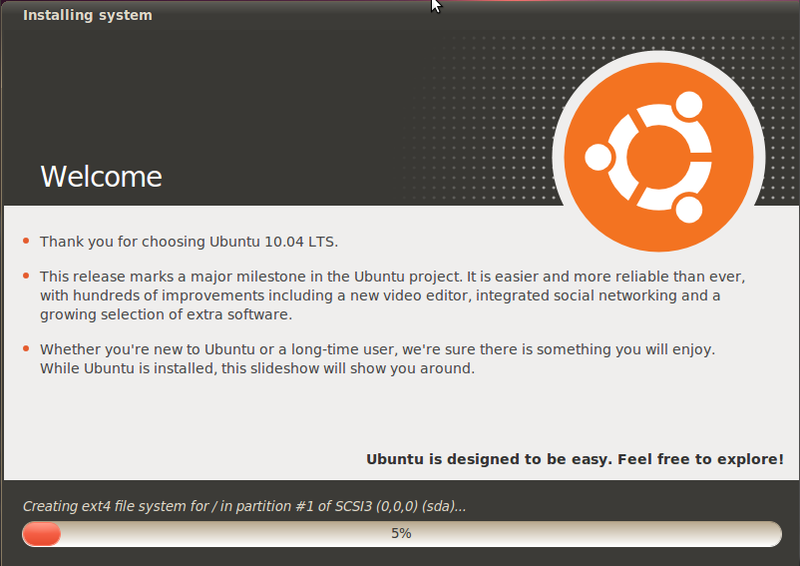 Why 10.04 LTS? Because it is LTS, or Long Term Support. I do not plan on upgrading this too often since it will be a work horse. I need as many patches and fixes as I can get out of one version. 10.04 is it for now. 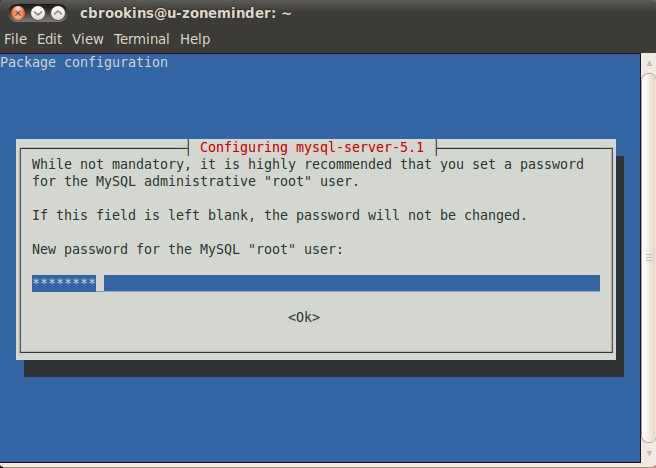 Enter a root password for MySQL when it prompts you. 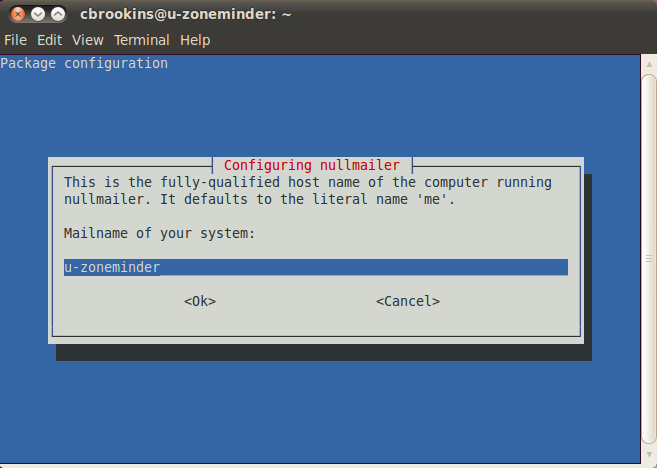 Then enter the hostname of your server when it prompts. 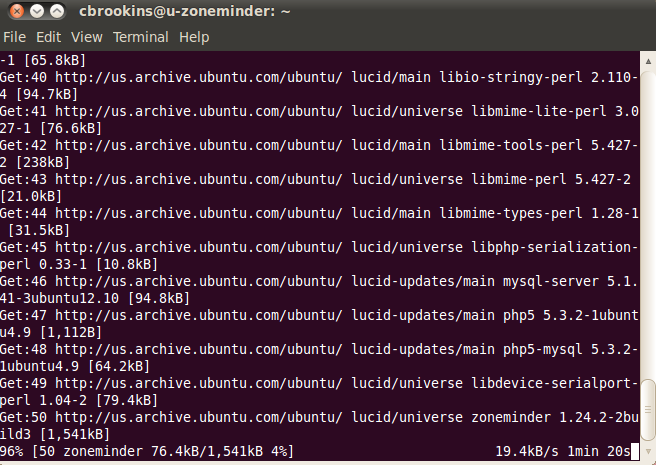 Now you need to copy the ZoneMinder Apache configuration into the Apache conf.d directory and name it zoneminder.conf. The interface is simple, but very functional. 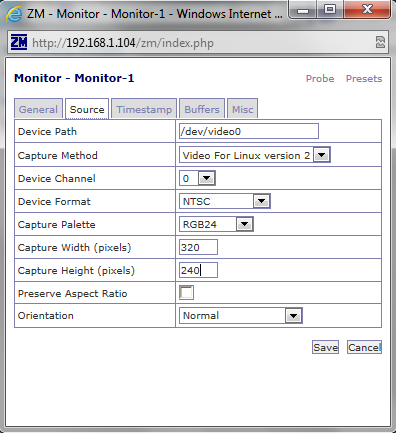 All you have to do to get up and running is add a new monitor by selecting Add New Monitor and filling out the information on the source tab. 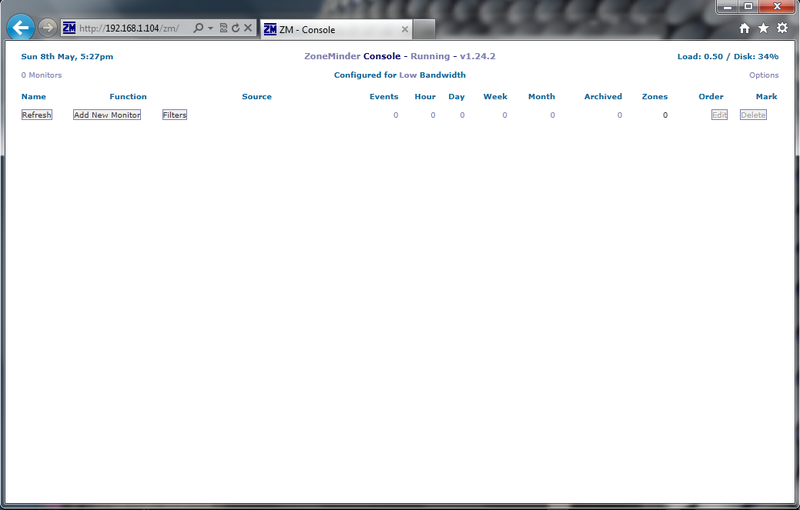 Check out the screenshots on the ZoneMinder website for a better look at what can be accomplished.